A senior Cabinet minister has risked fuelling controversy over Britain's Brexit deal by suggesting that the question of UK membership of the Customs Union remained open. Home Secretary Amber Rudd, who was a prominent supporter of Remain in the 2016 referendum, declined to say that the UK was certain to leave the Customs Union when pressed on the issue at a Westminster lunch. Saying she was "not going to be drawn" on the issue, Ms Rudd said the Government was "still working on" its position, which would require further discussions with Cabinet colleagues. Her comments came as MPs debated a backbench motion calling on the Government to establish a customs union with the EU after Brexit. Speculation that Theresa May could be forced into accepting a customs union arrangement has mounted since her defeat in the House of Lords last week, prompting reports that senior Brexiteers including Boris Johnson would not accept any dilution of her "red line" on withdrawal. 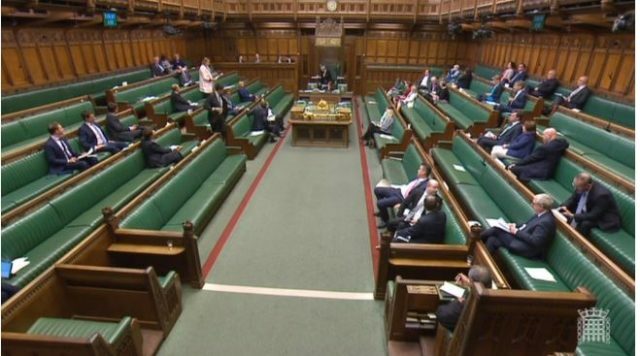 Thursday's Commons debate is not binding on the Government and was not attended by many pro-Brexit MPs, with Tories not whipped to take part in the vote. But the Prime Minister faces a much more serious challenge next month when the much-delayed Trade Bill returns to the Commons. It is understood that Chief Whip Julian Smith has told Number 10 the Government cannot win an amendment to the bill calling for the implementation of a customs union with the EU. Asked whether it was more or less likely, in the current climate, that Britain would stay in the customs union, Ms Rudd said: "I'm not going to be drawn on that. "We still have a few discussions to be had in a really positive, consensual and easy way among some of my Cabinet colleagues in order to arrive at a final position." And challenged over which side she would back in Wednesday's Commons vote if she were a backbencher, she said: "I'm committed to the Government's position, which to some extent we are still working on." Ms Rudd later sought to play down the significance of her remarks, tweeting: "Of course when we leave the EU we will be leaving the customs union. I wasn't going to get into ongoing Cabinet discussions about our future trading relationship." But Labour's shadow Brexit secretary Sir Keir Starmer responded: "Amber Rudd appears to have let slip that discussions around the Cabinet table about negotiating a customs union with the EU have not in fact concluded. "If that is so, then the Prime Minister should rethink her approach and listen to the growing chorus of voices in Parliament and in business that believe she has got it wrong on a customs union." Liberal Democrat MP Layla Moran, a supporter of the Best for Britain campaign against a hard Brexit, said: "Amber Rudd has let the cat out of the bag. "The Government at the highest level has no idea what their plan for the Customs Union really is. They are utterly and completely shambolic. "After the week the Home Secretary has had, being the Prime Minister's human shield, this feels and looks like revenge. "This comment will take the Windrush heat off her now for a couple of hours. "The Government is an utter car crash." Arch-Eurosceptic Conservative MP Peter Bone, who was also at the Westminster lunch, said he "could not understand why Amber Rudd did not support Government policy to leave the Customs Union". The Wellingborough MP added: "We cannot have the Home Secretary not supporting this key plank of Brexit."